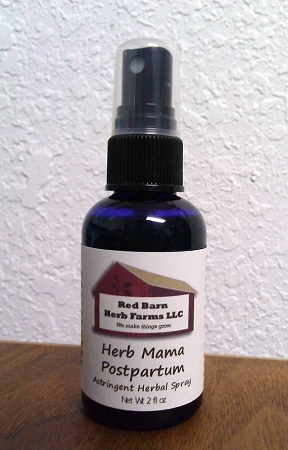 All natural, healing herbal spray provides, fast, convenient relief from soreness, swelling, bruising, pain, and itch associated with hemorrhoids, natural tearing, stretching, episiotomies, and other postpartum discomforts, plus everyday itching, burning or general discomfort associated with hormonal changes, cycles, sexual activity, etc. Organic, healing herbs in a double distilled, true Witch Hazel Extract base have been blended especially for the uncomfortable postpartum period. Our Witch Hazel extract is only 14% alcohol, making it more soothing and lacking the normal alcohol sting and scent of most commercial versions. Spray a cooling mist onto the perineal area after urination and bathing, or whenever you need instant relief. You won't believe how well this stuff works. Really.